Internationally renowned for exceptional teaching expertise, Anestis Cobella and the Cobella Artistic Team are always available to stage their most innovative and exciting presentations. A strong sense of the continuous flow of time, and ever-changing trends dominates the shows they produce. Moving through time from a contemporary take on classic styles to futuristic, cyber inspired, blunt lines, Cobella’s artistry provides vision, imagination, and above all instruction. Their passion for education has led the team to excel in inspiring and motivating hairdressers all over the world. Cobella’s innovative approach can be tailor made to your needs from formal classroom setting to on stage drama and demonstration of step by step cutting skills. 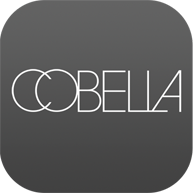 The Cobella Creative team is set to inspire a new generation of stylists with a number of new techniques and exciting concepts. FROM COMMERICAL CATWALK TO TRADE EDUCATION COBELLA HAS EARNED AN ENVIABLE REPUTATION OF PRODUCING CROWD PULLING EVENTS.